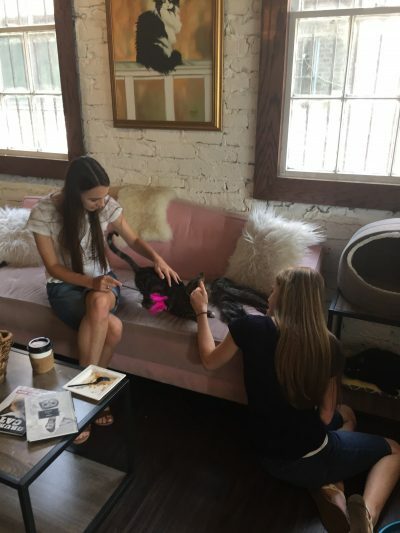 Our girls at Pounce Cat Cafe earlier this week. Ever loved a dog? You’ll want to read Dave’s post Chosen. Kayla shares 6 Ways to Slow Down So You Don’t Miss Your Kids Growing Up. Kathie lists 3 Things That Make You Lose Your Joy as a Mother. Shannon has 4 Ways to Quell Comparison. Lucretia talks about When Struggle Is the Reward. But I enjoyed “When the Struggle is the Reward” the most. I think we talked about that a couple of weeks ago, that it’s the valleys that are green, where things grow. We talk about the wonderful, spiritual times on the mountain tops, but it’s in the valleys where growth occurs. I know!! We haven’t owned a dog in years, but I grew up with dogs as pets, and the dog my husband and I got was like our first child.